This is the main street in Laoag, the capitol of Ilocos Norte, the Philippines. 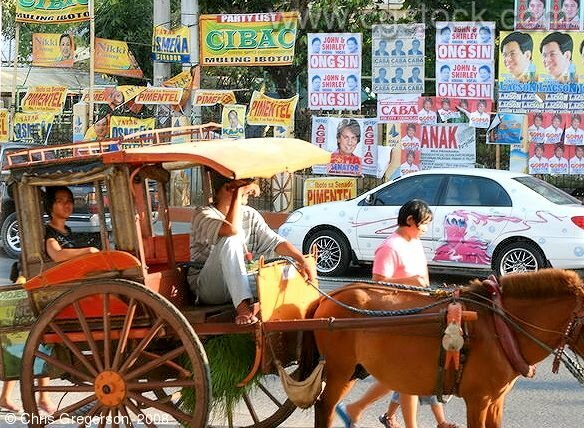 The horse-drawn carriage is called a kalesa. There are political campaign posters in the background.